Significant usability enhancements improve the overall user experience of Decision Management and enable you to meet the ever-changing needs of your customers. 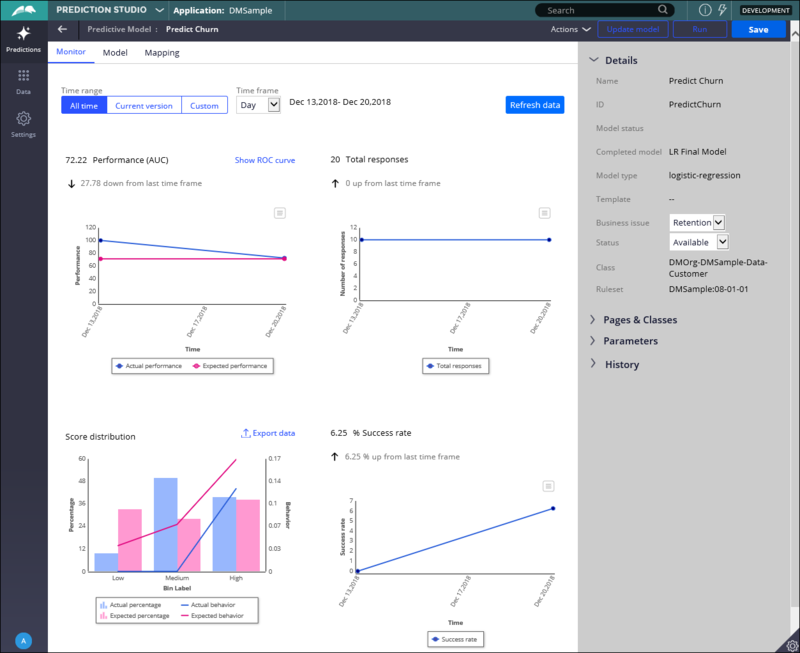 One of the key enhancements is the introduction of Prediction Studio, which is the workspace for managing the full life cycles of AI and machine-learning models. In addition, benefit from key enhancements that improve the transparency of decisions, enable optimizing performance of decision components, and provide the tools for monitoring decisions for compliance and regulatory purposes. To learn about all the new features in Decision Management, watch the What's New video below.